I finally finished a quilt! 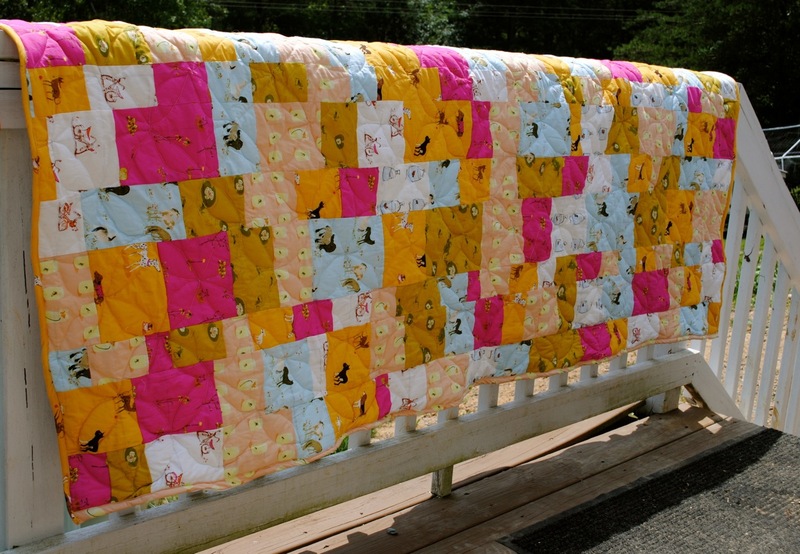 I started this quilt at least a year ago as a way to use up all of my cherished (and discontinued) Heather Ross scraps. 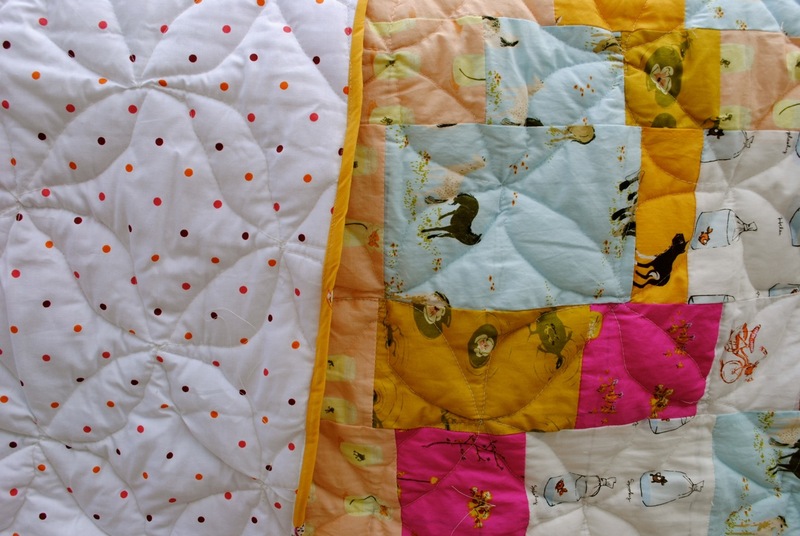 It has probably the crappiest binding and top quilting of any quilt ever, but I don’t care. 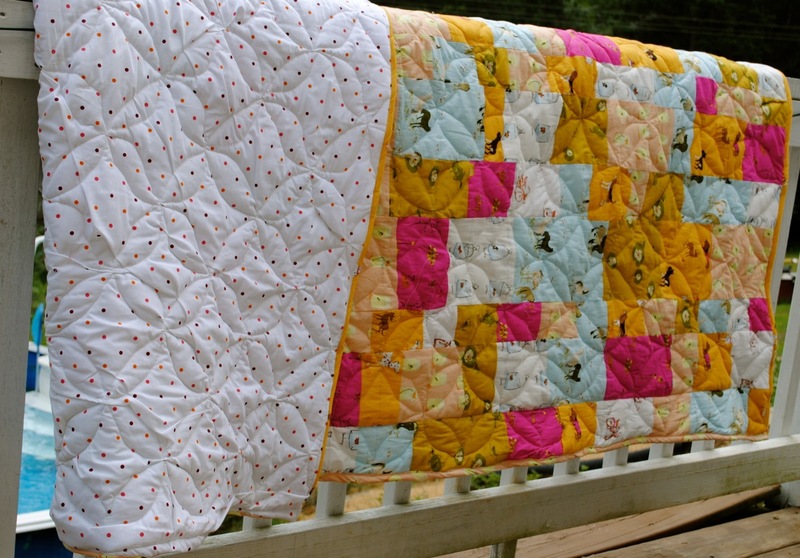 I wanted it to be a summer quilt, and I finished it in the summer. While there is still summer left in which to enjoy it. The backing fabric is a king sized sheet from Walmart. I couldn’t believe I found one that matched so well. This was my first attempt using the free-hand quilting foot for my machine. I’ve got an even-feed foot now as well, so I’ll be trying that out next.